Home » Telugu » News » Daggubati Venkatesh’s film with director Anil Ravipudi is titled ‘F2 – Fun and Frustration’? The film is said to be a multi-starrer and the makers are on the lookout for another star to be part of the film. Anil Ravipudi is 3 films old, as a director, in the Telugu film industry and is already making waves in the film circles. 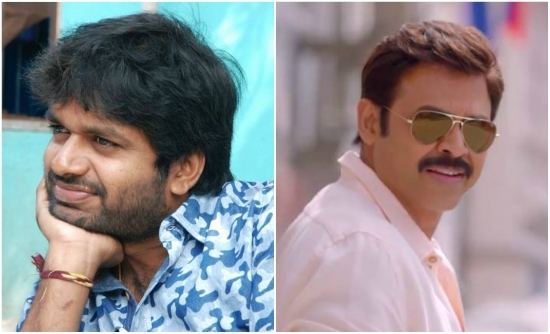 All the three films – Supreme, Pataas and Raja The Great – have been hits and news has it that the filmmaker is teaming up with Venkatesh Daggubati for a film. The film has been apparently ‘F2’ with caption ‘Fun and Frustration’. The film is said to be a multi-starrer and the makers are on the lookout for another star to be part of the film. “Anil has a concept for a commercial entertainer that Venkatesh loved. The actor asked him to develop the story line while he finishes work on his next with director Teja. Meanwhile, Anil will also finalise a young hero to co-star in the film. The title of the film, F2, will have an interesting back story attached to it,” a source close to Anil Ravipudi was quoted as saying by DC. With three back-to-back hits in his career, Anil Ravipudi sure is a busy man in Tollywood and the most sought after filmmaker currently. Venkatesh will now team up with director Teja and the project is most likely to kick off in December this year. It is being reported that this yet to be titled film will go on shooting floors from December 13th this year which happens to be the birthday Venkatesh and the makers have completed the pre-production works for the film. Venkatesh was last seen in ‘Guru’ which was a remake of Madhavan starrer Tamil film ‘Irudhi Suttru’.